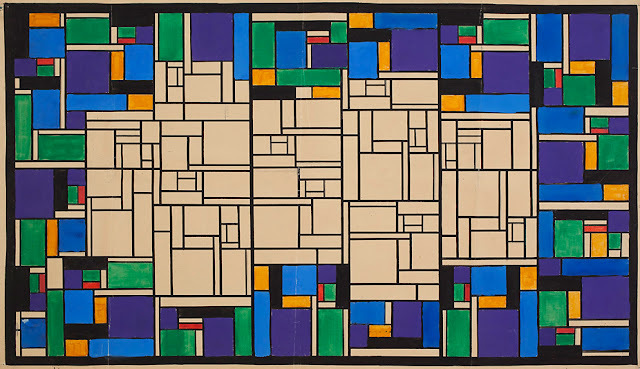 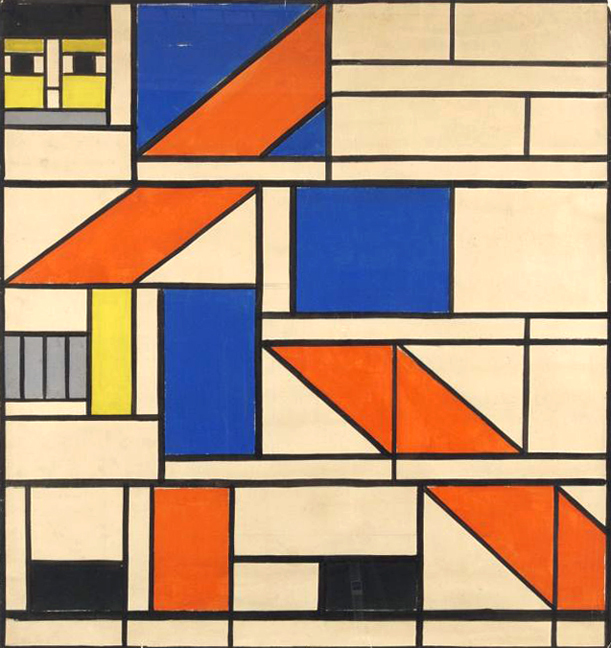 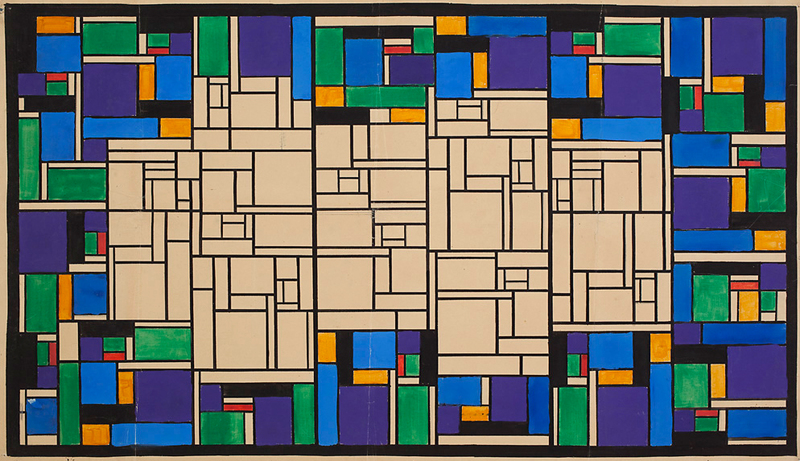 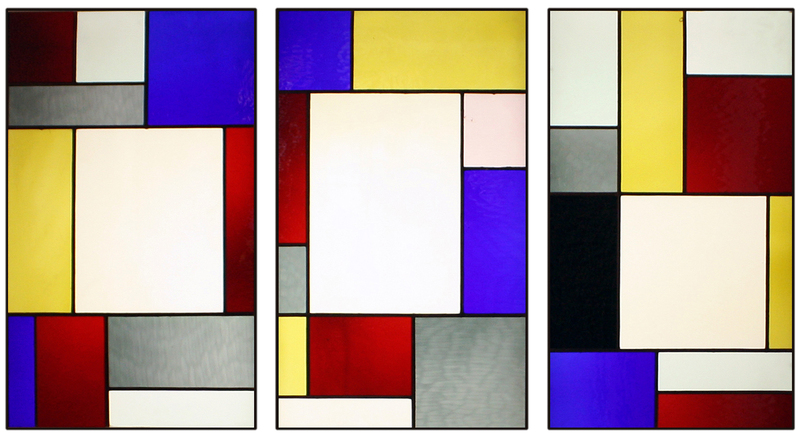 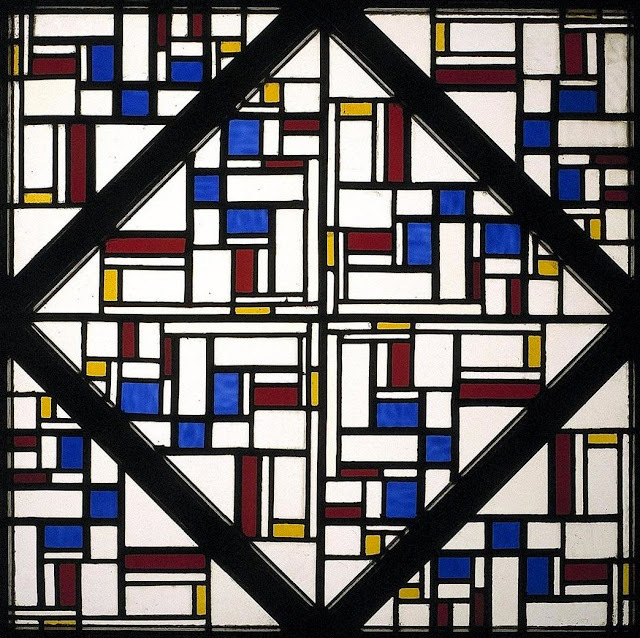 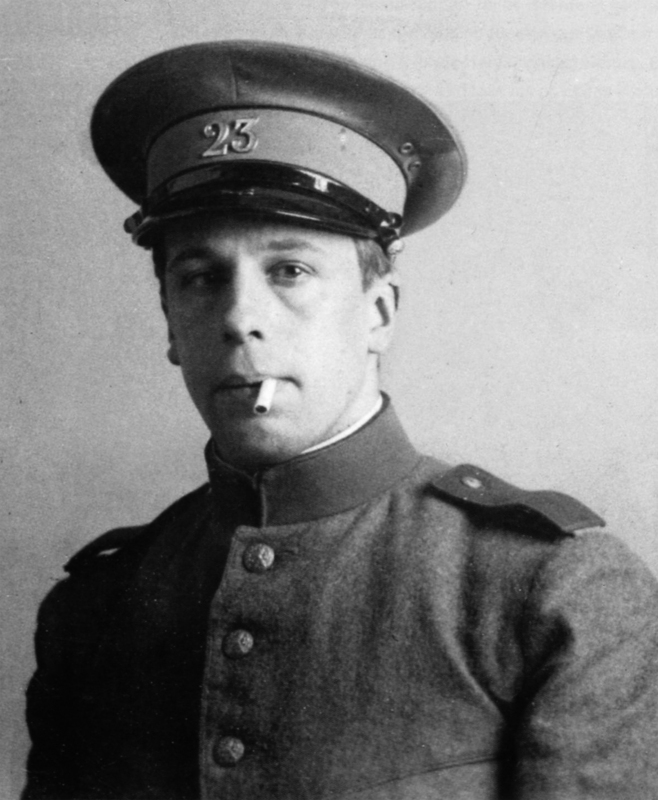 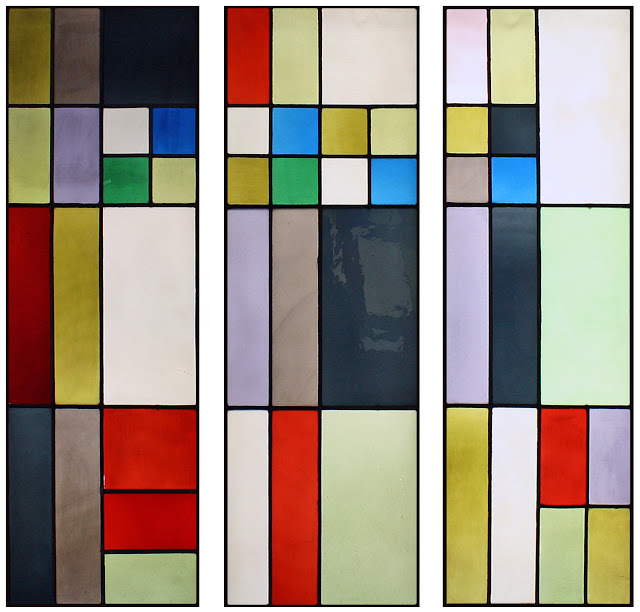 In addition to painting, Dutch artist Theo van Doesburg (1883-1931) co-founder and "ambassador" to the De Stijl movement, designed many stained glass works during his career. 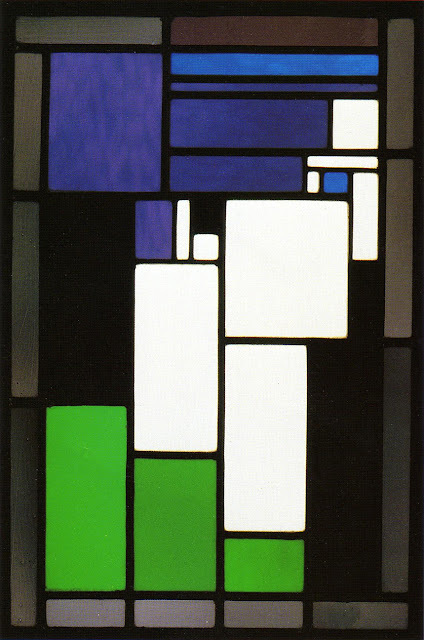 His neoplastic art, with its black bordered color fields, were perfectly suited for the stained glass medium. Fortunam Suam Quisque Parat, 1927. 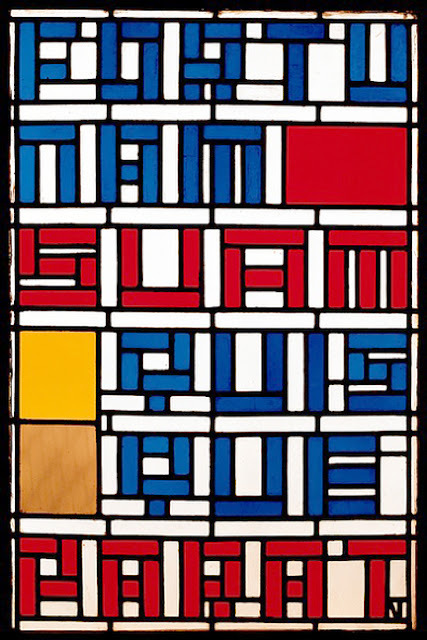 Rough translation: Every man is the architect of his own future. 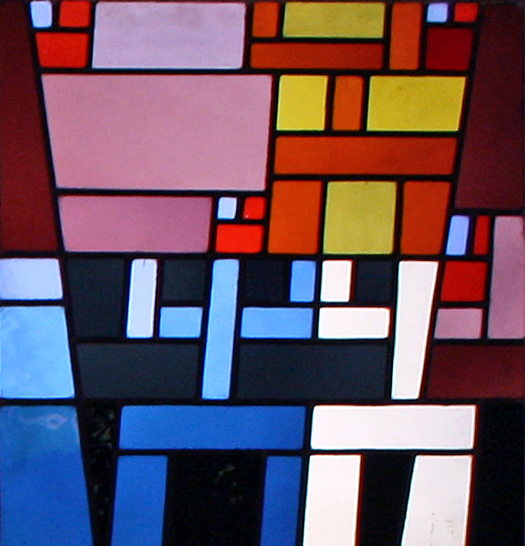 If you want to see more modernist stained glass see my previous posts here and here.